When spokespersons for Miwok Indians respond to critics of their casino proposal, they fall back on their claim that virtually all of the land in Sonoma and Marin counties, including the land at Highway 37 and Lakeville Road where they plan to build a casino, was stolen from them at some time in the past. Similar claims can be made by the descendents of almost every Indian tribe in the Americas. In addition, Mexicans have some claims on Texas, California and other parts of the Southwest (although their ancestors probably "stole" it from the Indians). The descendents of conquered and displaced people of many nations could make a case for reparations as well. Dare we mention the slave trade? Man's inhumanity to man is well documented. But who today must be accountable for the alleged crimes of their ancestors? Who gets to decide how much is paid, where, when and to whom? How do the citizens of this age balance a scale of justice that goes back centuries when the rules and standards were different? Finally, how would it be done fairly so the burden of the debt does not fall on a few, while others, presumably equally responsible, pay nothing? The Miwok tribe spokespersons are saying they decide these questions here in Sonoma County. The "guilty" in the tribe's eyes are local residents who are not of Miwok descent. Having declared that non-Miwok local residents are responsible, they've announced our penalty -- that they (the Miwoks) can carve out a choice spot in Sonoma County and build a casino. They do not have to follow the laws that we have established through our elected representatives for the safe, civil, healthy and orderly operation of our society. They are not bound by our planning and environmental regulations and they do not have to pay local taxes. They, the gambling corporation, and the politically well-connected land speculators who put this deal together will make some big money, and our region will be the worse for it. That is their idea of justice. In a fair trial, we would have our day in court. Unless Congress acts in our defense, we will not get that chance. Having been declared guilty without a trial, neither will we have an opportunity to argue in a court of law that the penalty is unequal, unfair and unwise. And although we live in a representative democracy and have the right to vote, we don't get to vote on this. The Miwoks may make the charge that someone terribly abused their ancestors, but they can never prove their case that the current residents of this region or this state are in any way responsible. None of us was there, and we are not responsible for the laws and morality of the distant past. Were the Miwoks really there first, or did they push out some earlier indigenous group? Did Americans steal the land or did the Mexicans? Isn't this just another example, repeated throughout the ages, of one group of people conquering another? The list of potential claimants for war reparations is as long as history itself. But our accusers say someone must pay them and have pointed the finger at us. Having made the innocent guilty, their proposed punishment is equally unjust. The idea of placing a separate sovereign nation, funded by gambling, in the middle of well-established, civil, local government, is as stupid and illogical as it is harmful. 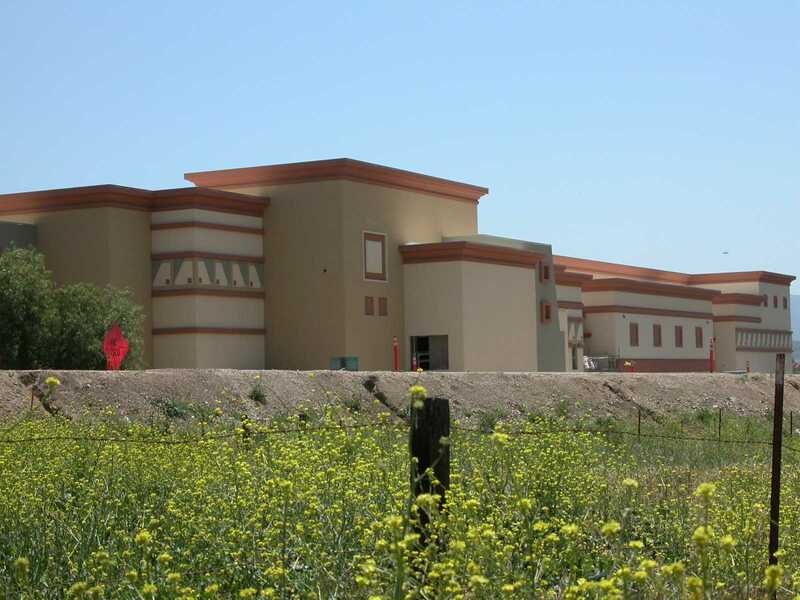 This precedent will lead other tribes, backed by other corporate gambling interests, to "leap-frog" ever closer to lucrative high-traffic locations, leaving earlier and more rural Indian casino enterprises to wither and die. It is a shell game that will never lead to real economic independence for the majority of Native Americans in the 21st century. Yes...so? Lynch seems to think this is remarkable. Actually, a lot of people have legitimate grievances that are decades, even centuries, old. They're still battling to have these grievances addressed and resolved. If the Israelis and Palestinians are still fighting over land first claimed in the Bible, why are more recent demands for redress so hard to fathom? The Congress shall have power...to regulate commerce with foreign nations, among the several states, and with Indian tribes. As far as I know, Lynch and the other residents of Sonoma County are still bound by these centuries-old rules and standards. If they don't like these restrictions, they're free to leave the country. Congress announced the so-called penalty when it passed the Indian Gaming Regulatory Act in 1988. The Miwok band is simply playing by the rules. If Lynch doesn't like it, he should take it up with his representatives in Washington DC. "The Congress shall have power...to regulate commerce...with Indian tribes." In a fair trial, Lynch undoubtedly would lose in court. If he wants to put the federal and state governments on trial and re-adjudicate the treaties these governments broke, I'm sure the Miwoks would agree. If the Miwoks lost, they'd be no worse off than they are today. If they won, they might regain ownership of vast tracts of their original land. Not responsible for "the laws...of the distant past"? On the contrary, the Constitution is still in force and Americans are still responsible for it. Who robbed whom first...and does it matter? If Lynch can identify any indigenous groups that inhabited the land before the Miwoks and are still extant, we can address their claims also. Until that happens, Lynch is asking rhetorical questions to dodge the Miwoks' real claims. Since they both stole the land from the Indians, does it matter? Yes...so? Has conquering people ever been legally or morally justified? What was the legal or moral justification for such conquests? Or have they been wrong since the dawn of humanity? Lynch is innocent only in his own mind. Actually, he and his ilk are guilty of not upholding the treaties and laws that guarantee Indian rights. It doesn't matter how old these treaties and laws are if they're still on the books. If he doesn't like the Constitution, he's free to try to amend it. That's the only method available for overturning a constitutional provision. His other option is to move to a country that doesn't recognize the sovereignty of its indigenous people. In other words, love it or leave it. Actually, the sovereign Indian nations were there first. It's more correct to say: "The idea of placing a separate sovereign nation, funded by tobacco and cotton and slaves, on top of a well-established Native government, is as stupid and illogical as it is harmful." Yet Americans pursued this stupid, illogical, and harmful course�imposing their authority on existing governments�for hundreds of years. Now they're reaping the harvest of their immoral and illegal stupidity. If by "shell game" Lynch means that Indian gaming is taking money from one tribe and giving it to another, he's flatly wrong. Few Indian casinos compete directly with other Indian businesses. Rather, they compete mainly with non-Indian businesses�casinos, resorts, and other tourist destinations. True, gaming is leading to real economic independence only for the tribes who pursue it. Many tribes haven't pursued it for cultural or economic reasons. Since Congress meant gaming to help some tribes�those who opted for it�not all tribes, that's as it should be. The Constitution and the IGRA aren't loopholes in the law; they are the law. Let's see: When brown-skinned Islamic fanatics terrorized and killed Americans, people like Lynch denounced them and demanded revenge. When white-skinned Christian fanatics terrorized and killed Indians, we're supposed to forget about it because it's "past." Sure, let's call that what it is: racism. If the sheet fits, Bill, wear it.